See you on November 11! 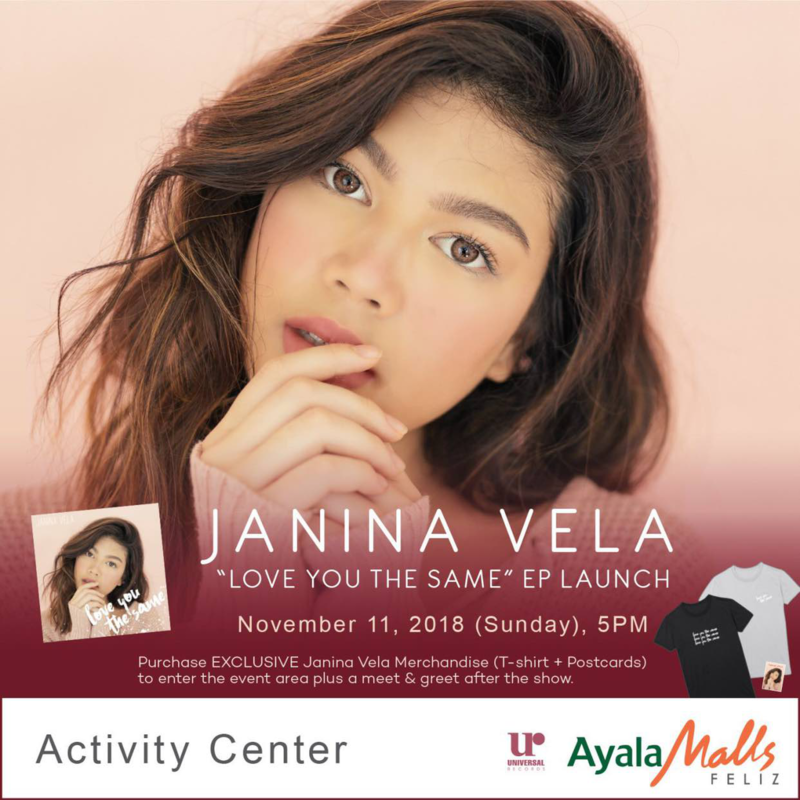 Singer-songwriter and YouTube sensation Janina Vela will be launching her debut EP 'Love You The Same' on November 11, 2018 (Sunday), 5pm at Ayala Malls Feliz, Pasig City. Love You The Same is Janina's first EP under Universal Records, where she showcases her vocal ability and knack for songwriting, as well as revealing a more vulnerable side to her personality. Prior to its release, the 19 year-old has released various songs from the EP such as the lead single "Hesitate" and "Sorry I Left," co-written and performed with millennial heartthrob Donny Pangilinan. Fans can expect live performances of these songs, along with many more surprises and guests during the launch! See you there! Breakthrough is now available on iTunes, Apple Music, Spotify, Deezer, and Amazon. Who's coming to the EP launch? Let us know in the comments!